A gorilla tracking permit buys you one hour with mountain gorillas and covers the cost of park entrance and guiding. Only 8 visitors aged 15 years or above are allowed to track each gorilla group per day: they all set off early and the morning and usually return by midday. Depending on where the great apes are, tracking can be easy or strenuous. 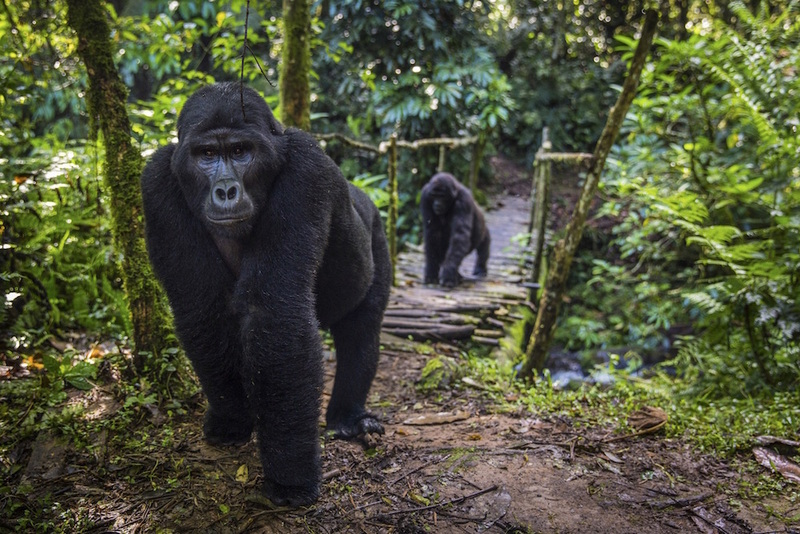 Gorilla movements are followed daily, so unsuccessful tracking is almost unheard of. Half of the fee would be returned in such an unlikely case. 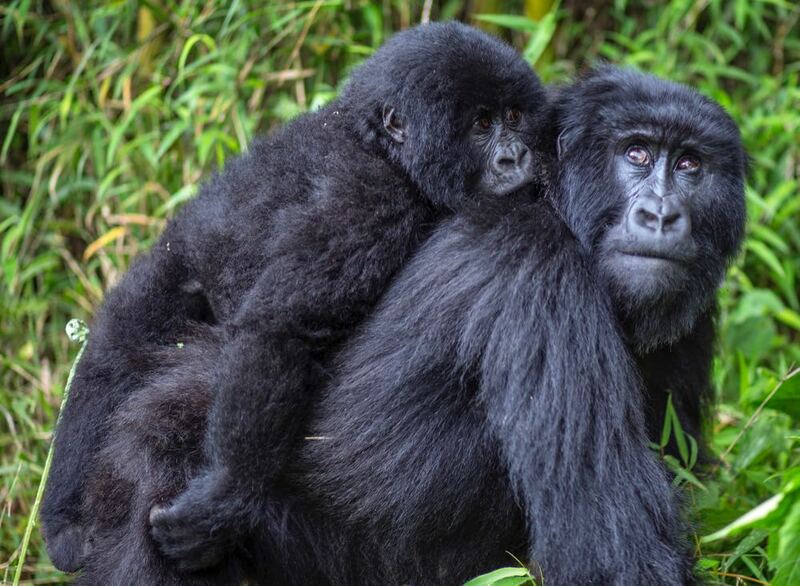 In Uganda, gorilla tracking can be done in Bwindi or Mgahinga national parks (USD 600 for foreigners; USD 500 for foreign residents; USh 250,000 for East Africans). 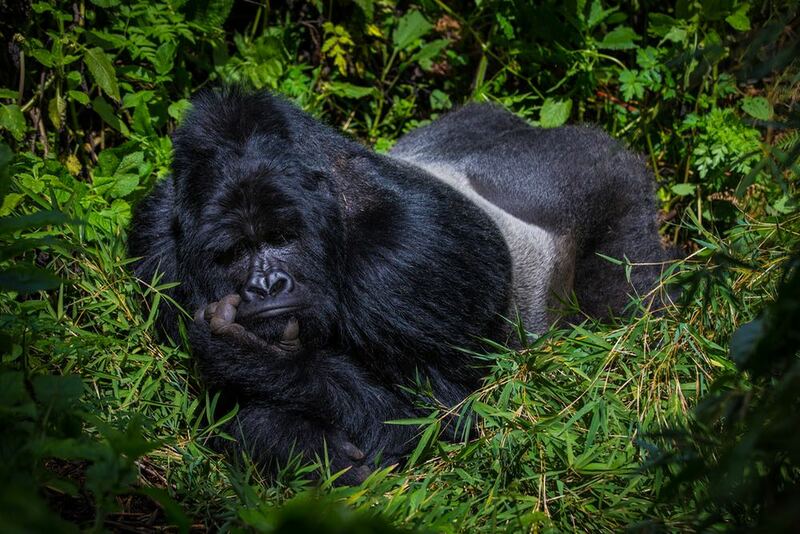 In Rwanda, the gorilla tracking location is Volcanoes national park (USD 1,500 for all visitors). 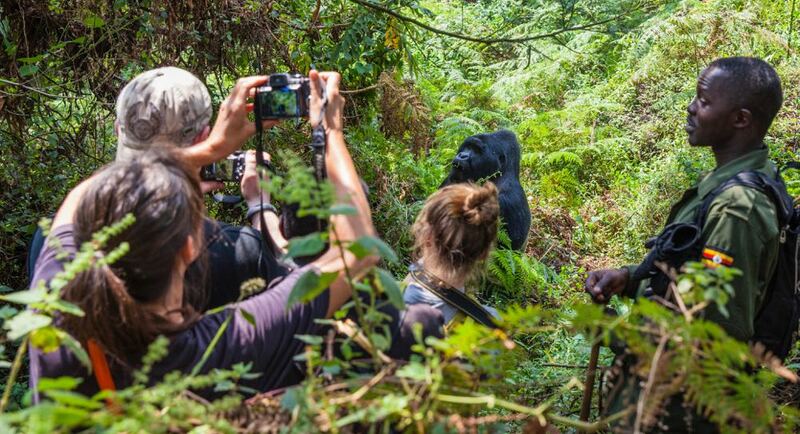 The deeper version of the experience is called gorilla habituation (USD 1,500 for foreigners; USD 1,000 for foreign residents; USh 750,000 for East Africans) and means departing with gorilla trackers at 7:00am, spending 4 hours with the gorillas and observing the process of habituation (getting them used to humans). You can do it only in Bwindi, with the activity starting in Nyabaremura (close to Rubuguri, between Nkuringo and in Rushaga). Permits for Rwanda can be bought from Rwanda Development Board. For Uganda they can be purchased at Uganda Wildlife Authority (UWA) in Kampala, in Kisoro and at Bwindi gorilla gates. It is wise to do it months in advance. Between June and September obtaining a permit becomes especially challenging—tour companies will purchase them in advance, before they even get customers for their trips. If they fail to get tourists, they will later advertise permit availability. 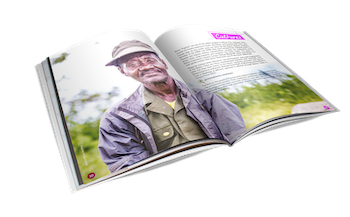 In Bwindi, 12 groups are habituated for tourism and one for research, with four access points. The Buhoma gate, the park headquarters, is the oldest among them and hence most known and touristically developed. Gorillas here are often most accessible. However, it would be wrong to ignore the other three gate options. If nothing else, they are closer to towns that offer a wider selection of more modestly priced accommodation. 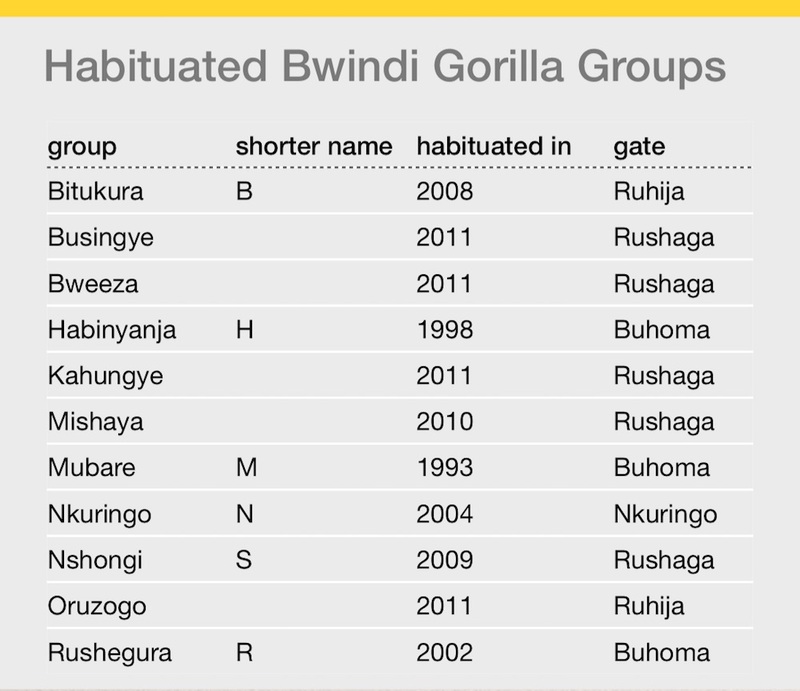 In Mgahinga, 1 gorilla group is habituated. It has a reputation of occasionally crossing into Rwanda but in reality that has not happened for years. The major advantage of doing your tracking in Mgahinga compared to Bwindi is that you are more likely to find gorillas in the open. If gorillas surprise everyone by moving to the neighbouring country, you will automatically get a replacement permit for Bwindi. In Volcanoes, 10 groups are habituated. The park gate for all of them is in Kinigi near Musanze, by far the most accessible location in the Gorilla Highlands region. A perfect tarmac road leads there straight from Kigali, and the Sabinyo gorilla group is normally less than 30 minutes away. You can contact us if you need help arranging for your permit. For what to wear and pack please see What to Pack. Two golden monkey groups in Mgahinga Gorilla National Park are habituated. A visit to the research group (USD100 for all visitor categories) is longer and gives you an insight into how researchers are monitoring them. The second group costs USD50 for foreigners/foreign residents and USh 20,000 for East Africans. Golden monkey permits do not include park entry fees and can be purchased at Uganda Wildlife Authority (UWA) in Kampala or in Kisoro. Golden monkey tracking in Volcanoes National Park all falls into one price category (foreign visitors USD 100; foreign residents USD 65; East Africans USD 55; Rwandans RWF 4,000; students RWF 2,000). Permits can be bought from Rwanda Development Board. You can contact us if you need help arranging for your permit. For what to wear please follow the gorilla tracking advice at What to Pack.